Showing results by narrator "Harold Limpert"
After watching too many family members die of cancer, at age 28, public speaker and comedian Caitlin Brodnick was tested for the BRCA1 gene mutation and tested positive, indicating an 87% chance she'd likely be diagnosed with breast cancer in her lifetime. She had a preventative double mastectomy, thereby becoming an everywoman's Angelina Jolie. 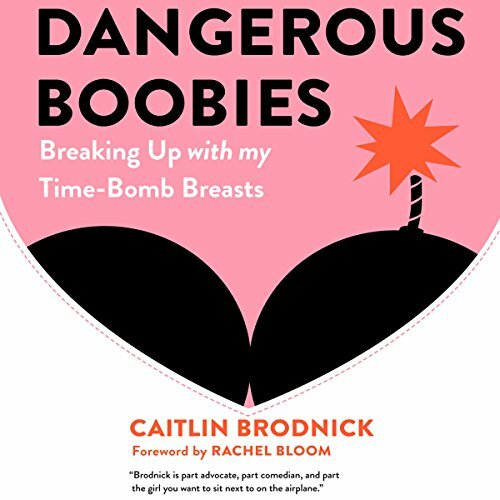 Dangerous Boobies: Breaking Up with My Time-Bomb Breasts goes in depth into her experience from testing to surgery and on to recovery.